Meetings for a specific group. There is 1 meeting that match this search request. Didn't find what you were looking for? Try another search. 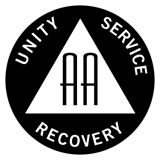 This is a Unity Meeting, not a Recovery Meeting. Business of the Intergroup is conducted at this meeting. Every group in the Saint Paul and surrounding area has the right to have a Rep attend this meeting to give input and feedback to the board and office staff. You don't have to be a Rep to attend, but only Reps may vote. A volunteer ASL interpreter may be available for this meeting if a volunteer interpreter is available and a request for interpretation is made at least two weeks prior to the meeting. Additional lead time would be helpful to insure that we have a volunteer available.